Undiagnosed fractures occur frequently in the Emergency Department setting, with a total miss rate of 1-3%. 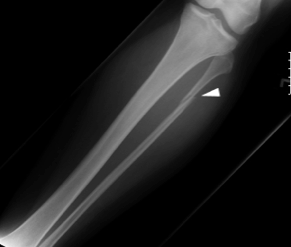 These missed fractures not only lead to poor patient outcomes, but also account for the second highest cost of litigation against EM docs, behind only MI.1,2 This may not seem relevant if you are lucky enough to have access to a Radiologist 24-7, however there are several injuries that will be missed if they are not included in the differential diagnosis, because even the best radiologist can’t read a film if it wasn’t ordered. 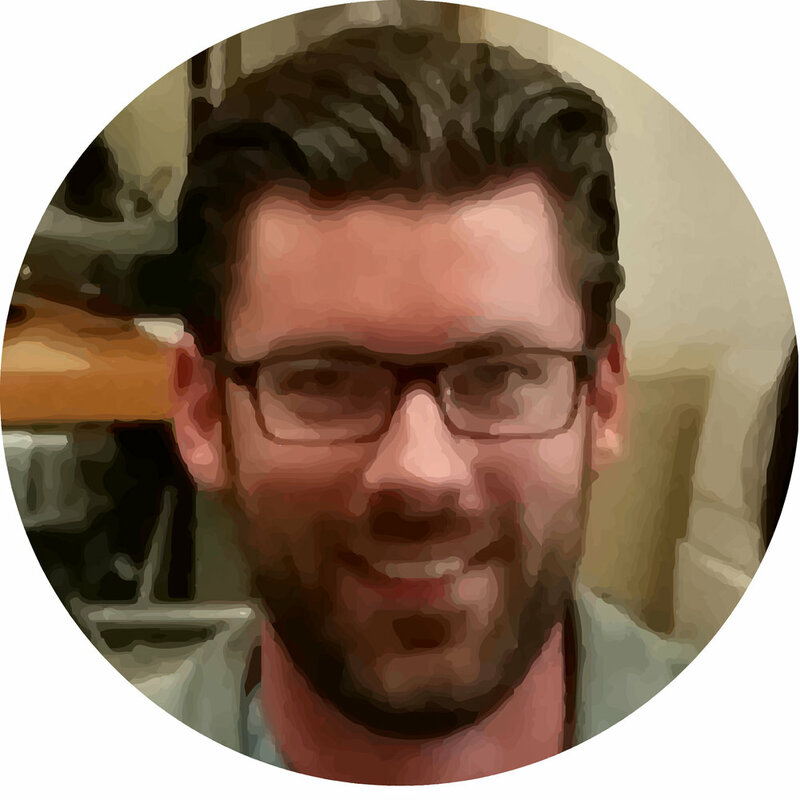 This blog post will cover three ‘must not miss’ injuries to keep in mind when assessing your run-of-the-mill orthopedic injuries namely: the Maissoneuve fracture, Lisfranc injury, and Galeazzi/Montaggia fracture-dislocations. Finding these tricky injuries require additional radiographic views beyond those standardly ordered, but keeping them in your differential will mean better outcomes for you and your patients. What is it and how will it present? A Massonieuve Fracture (which can be as difficult to pronounce as it is to miss) is a spiral fracture of the proximal 1/3 of the fibula with a disruption of the distal tibiofibular syndesmosis, which occurs in 5% of ankle injuries3. The injury occurs with pronation and external rotational forces are applied to a fixed foot, with damage propagating from the stressed tibial bone or deltoid ligament up through the interosseus membrane, causing a fracture to the proximal fibula.4 A twisted ankle in high heels is a classic mechanism for his injury. In some cases the only apparent deformity is soft tissue swelling, pain, or ecchymosis at the ankle. Patients may complain only of ankle pain, and because they are unable to bear weight they don’t load the damaged fibula, and therefore do not complain of lateral leg pain. The patient will likely have pain with palpation over the ankle fracture/injured ligaments. Evaluate the ankle syndesmosis with compression and dorsiflexion eversion testing (will simulating a “high ankle” syndesmotic injury). In addition, make sure to palpate the proximal fibula both directly along the proximal shaft and head, and with gentle squeezing of the proximal leg just below the knee joint (a squeeze test). Pain with these maneuvers should prompt additional radiographs. Finally, test peroneal nerve function with ankle dorsiflexion and dorsal foot sensation. It is subject to injury in fibular fracture. Look for fractures of the medial malleolus or posterior margin of the tibia. Also look for avulsion fractures indicating interosseus ligament disruption, such as in this case, with both a fracture of the lateral malleolus and a chip fracture indicated by the white arrow [3,5]. There is obvious widening of the syndesmosis. Look for joint space widening (white arrow) or widening of the syndesmosis (black arrow) . If patient can’t stand, you may have to perform manual stress of the joint while the radiographs are taken (as indicated in this AP). This fracture is considered by many to be among the most unstable ankle injuries . If there is an intact mortise with no joint space widening, the patient can be casted and follow up with orthopedics. If there is joint-space widening at the ankle mortise, surgical intervention is likely required. If undiagnosed, a patient with a Massonieuve fracture may incur a host of bad outcomes including delayed orthopedic intervention, chronic pain, arthritis, and impaired mobility. If a Lisfranc injury is suspected, foot radiographs with additional views including WEIGHT BEARING AP, lateral, and oblique are essential. The lateral margin of the 1st metatarsal should be aligned with the lateral margin of the medial cuneiform. The medial aspect of the base of the 2nd metatarsal should align with the medial border of the middle cuneiform. The medial margins of the 4th metatarsal and cuboid should be aligned . AP: Diastasis of >2 mm between the base of the 1st and 2nd metatarsals indicates Lisfranc injury. 90% have associated avulsion fracture of the base of the second metatarsal or medial cuneiform, known as Fleck Sign (pictured at left). The pictured radiograph also demonstrates lateral displacement of all 5 metatarsals [11,12]. Lateral: Allows for identification of any dorsal or plantar dislocation . Oblique: Allows for evaluation of the alignment of the 3rd and 4th metatarsals with the cuboid and cuneiform . If there is no evidence of widening of the Lisfranc joint space, the patient can be splinted and follow up with orthopedics, however they MUST BE non-weightbearing. Any evidence of fracture-dislocation >2 mm requires orthopedic consultation in the ED for likely operative fixation. Fractures found later have worse outcomes. Delayed ORIF after late recognition is better than no intervention, however most patients still require shoe modification or orthoses . The radius and ulna are joined by an interosseus membrane. When one is injured the other is likely to be affected as well (just like the tibia/fibula). If either fracture is suspected, consult hand surgery/orthopedics for reduction and definitive management. Both almost always require ORIF or other surgical treatment. Chronic pain and limitation of supination and pronation can occur if not properly treated . Failure to “film what hurts.” If a patient feels that their injury was sufficiently serious to warrant a visit to the emergency department, the prudent practitioner maintains a low threshold for imaging. Clinical decision rules for judicious imaging are clearly valid but need to be applied judiciously. When in doubt, get the film. Failure to review films directly. Radiologists, while skilled and vital partners, rarely have the detailed information gleaned from simply pressing on patient’s bones and figuring out where they hurt. Correlation with point tenderness is a critical part of radiographic assessment. Scrutiny of radiographic bony anatomy near the sites of tenderness can lead to discovery of subtle fractures. Failure to consider mechanism. Given the frequency with which we in the ED see serious trauma, it is easy to fall into a trap of being unimpressed with mechanisms that are actually quite severe. Every experienced acute care practitioner has had the chance to be absolutely flabbergasted by the severe polytrauma that can result from “low impact’ mechanisms such as stair falls, falls from standing, and pedestrians struck by vehicles at low speed. The ramifications of a missed fracture can be significant. A recent analysis of closed legal claims in emergency medicine found that three of the top ten diagnoses in medical malpractice lawsuits were related to fracture care(vertebral, radius/ulna, tibia/fibula) . A similar analysis of pediatric cases demonstrated that in children over the age of 3, fractures remain the most common source of medical malpractice claims . This is to say nothing of the obvious morbidity and potential disability that may result from a missed injury. The interesting thing about the fractures that discussed by Drs. Whipple and Amick is that, at least in the case of the Maisonneuve and forearm fractures, what tends to be missed is the severity and operative nature of these injuries rather than the fractures themselves.A clinician seeing a patient with an eponymous forearm fracture will likely not misdiagnose them as an elbow sprain. Similarly, few people would interpret the ankle films of a patient with Maisonneuve fracture to be normal, the problem comes in missing the fibular injury. Lisfranc’s fracture is a different entity; it is not uncommon for these patients to be misdiagnosed several times as having a “foot sprain” before the proper diagnosis is made. One thing you can take to the bank in emergency orthopedics is that if the fracture is named after someone the injury involved can usually find a way to trick even a savvy clinician. Bennett, Rolando, Jefferson, Smith, and Sagond are also names that will you will encounter in your career. As yet no one has attached their name to the nondisplaced fracture of the distal phalanx of the small toe, but one never knows. Schwartz, D. Ten Most Commonly Missed Radiographic Findings in the ED. Boston Scientific Assembly. Thursday, October 8, 2009. Boston Convention & Exhibition Center. Hallas P and T Ellingsen. Errors in fracture diagnoses in the emergency department – characteristics of patients and diurnal variation. BMC Emergency Medicine. 2006. 6(4). doi:10.1186/1471-227X-6-4. Millen JC and D Lindberg. Maissoneuve Fracture. The Journal of Emergency Medicine. 2011. 41(1): 77–78. Sports Medicine for the Emergency Physician: A Practical Handbook. Ed. A. Waterbrook. Cambridge University Press: NY, NY. 2016. 75-77, 130-131, 248-249, 273. Taweel NR et al. 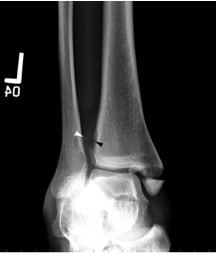 The proximal fibula should be examined in all patients with ankle injury: A case series of missed Maisonneuve fractures. The Journal of Emergency Medicine. 2013. 44(2): 251-255. Wynter S, Grigg C. Lisfranc injuries. Aust Fam Physician. 2017 Mar;46(3):116-119. Desmond EA, Chou LB. Current concepts review: Lisfranc injuries. Foot Ankle Int 2006;27(8):653–60. Seybold JD, Coetzee JC. Lisfranc injuries: When to observe, fix, or fuse. Clin Sports Med 2015;34(4):705–23. Sherief TI, Mucci B, Greiss M. Lisfranc injury: How frequently does it get missed? And how can we improve? Injury, Int. J. Care Injured. 2007. 38: 856—860. Gupta, RT et al. Lisfranc injury: Imaging findings for this important, but often missed diagnosis. Curr Probl Diagn Radiol. 2008 May/June. 115-126.
van Rijn J et al. Missing the Lisfranc Fracture: A case report and review of the literature. The Journal of Foot & Ankle Surgery. 2012. 51: 270-274. Perron, A et al. Orthopedic pitfalls in the ED: Galeazzi and Monteggia Fracture-Dislocation. Am J Em Med. 2001 May. 19(3): 225-228. Posted on August 6, 2018 by NUEM Blog and filed under Orthopedics and tagged Monteggia Galeazzi Lis franc missed fractures Maissoneuve.